Football Managers And Crypto Investors Have Much In Common! What do Cryptocurrency and Football have in common? Well a plethora of things actually. Digital Currencies exist in an often-volatile marketplace as do Football managers. Some cryptocurrency tokens can be at times overinflated, considering their actual worth, which some would argue is like some top-flight players! Often, football fans hold out hope for a team to bring home silver wear, just as an individual would invest in a crypto coin and hold the tokens, hoping for a price rise over a period of time. The world of football has its ups and downs, just as in the cryptocurrency world. Fans study previous stats before placing speculative bets on the teams they believe will do well. During the transfer window, the players must be scouted and examined (this involves undergoing medicals) before they’re bought for extortionate values by football clubs around the world. In the same way investors wouldn’t plough their money into a coin without doing your home work in the virtual currency market. Although, past performance of the digital currency is not necessarily an indication of the prospects of the coin, token or ICO. The more homework you do, the better your chances of making more educated speculations with your investment in a rapidly changing market. Football managers too face a struggle of how best to utilise their resources of players and facilities to compete for the top places in the league table. Failure to win titles or secure top places can ultimately mean sacking – making football management among the ficklest of careers! That isn’t to say there are not many managers who have been able to whether a storm or two and survive to see out their twilight years, but this depends on a lot of factors and more than a little luck! As with cryptocurrency investments you need to be in for the long haul and be prepared for the turbulence in the markets. 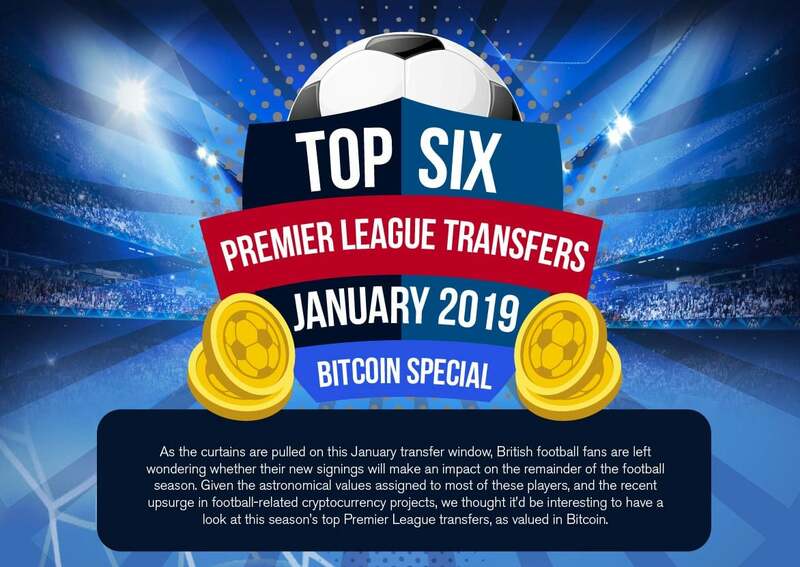 You may have to sack your investment adviser if, by the end, you have lost money, but the cryptocurrency market may have a longer season than the football league if you have the guts to stick it out, especially through the bearish times! Football managers are blamed for spending on the wrong players or not spending on the right ones! It is similar in digital currencies markets if you miss the opportunity to buy coins before the price rises, or over spend on expensive coins when you could have got them cheaper by waiting. Predicting the future of a crypto coin is difficult, just as predicting the future success of a player even though you pick the one with the most potential, in terms of stats and past results. Of course, any investment is largely based on resources and richer clubs like richer people, can afford to spend more and so too loss more!